Lauren Leader, is the co-founder and CEO of All In Together. She has dedicated her life and career to advancing women in business and politics and has been a tireless advocate for diversity and inclusion. 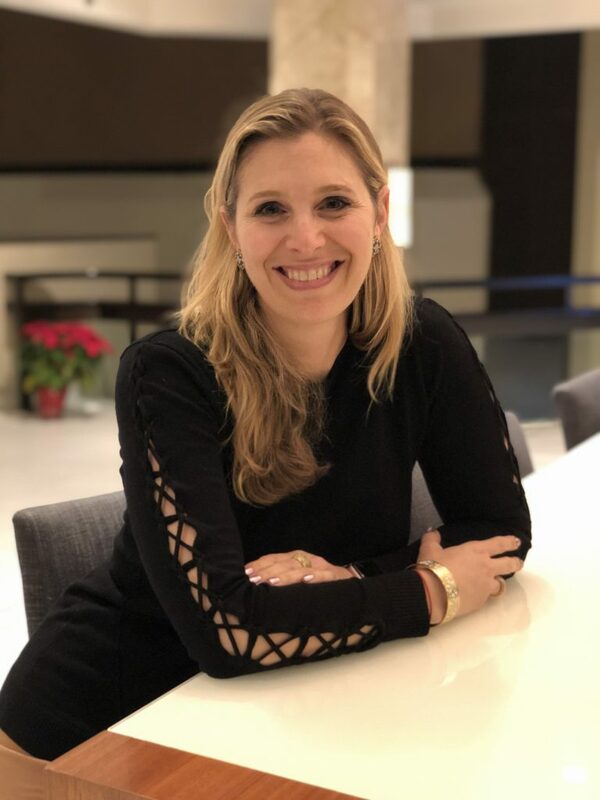 In addition to her leadership of All In Together, Lauren is senior advisor to Oliver Wyman, working with a wide range of global corporations on organizational and people challenges. Over the last decade, both in leading the global think tank Center for Talent Innovation where she was President and in her most recent role at Deloitte, she focuses on helping large companies drive greater innovation and market growth given the implications of diversity, technology, geopolitics and demographic changes. Lauren’s first book, Crossing the Thinnest Line (Hachette Center Street, September 2016) debuted in the top 50 on Amazon in several categories and sparked an important conversation about the importance of diversity to the future of America. Her research and writing on a wide array of talent and business issues has helped shape people strategy and the public discourse for the last decade. Her writing and thought leadership has appeared in a wide range of publications including Forbes, Harvard Business Review, New York Times, Bustle, Fatherly, Refinery29 and Inc.
Lauren is a frequent speaker, lecturer, and panel member at a wide array of conferences, conventions, academic meetings, investment forums, and other venues across North America and Europe including the Milken Global Conference, the World Economic Forum in Davos. She has been a regular commentator on MSNBC, HLN, Fox News and other outlets including CBS and Bloomberg TV where she addresses complex issues of women’s equality and diversity. She has been featured in Marie Claire, Cosmo, and Bustle. In 2015 Lauren was listed as one of Fortune’s 50 Most Influential Women on Twitter and is a 2018 Presidential Leadership Scholar. She is a life member of the Council on Foreign Relations and a graduate of Barnard College. Lauren Leader is the founder and CEO of nonpartisan, nonprofit, All In Together. She’s also an expert on diversity in the work-place, and is the author of “Crossing the Thinnest Line:How Embracing Diversity from the Office to the Oscars Makes America Stronger,” a book she wrote in 2016. Lauren joined me on the podcast and talked about her personal mission to encourage and equip more women to engage in civics and in politics — regardless of their political leanings or priorities. She talks about why women are disproportionately impacted when they don’t understand politics and engage. Lauren also talks candidly about her own journey and struggles, and she shares very personal insights about her personal growth, and the importance of always listening to and learning from feedback no matter what level you are in your career. That includes being thoughtful about when, where and how you share your self doubt! Lauren’s mission, and her authentic, no-holds barred perspective make her a particularly inspiring addition to our line up!